The men’s basketball team lost to Boston College tonight, 66-57, which is the program’s 18th straight ACC road defeat. It was another lackluster game for the Panthers, who shot only 29% and had trouble putting the ball in the basket. Again. It’s a familiar scenario and one that hardly needs a lot of emphasis from me. At 12-13, Pitt now falls under the .500 mark for the first time this season. At times, Pitt looked like they wanted to win the game, despite a dismal performance on offense. They hit some three-pointers and even led for a bit, which seems astonishing considering how poorly they shot the ball. But you’re not going to win many games shooting as badly as they did — even against bad teams. For some reason, Pitt felt that jacking up three-pointers tonight would be a winning strategy. The team did make ten of them but that was only because they shot so many (37). You give me 37 three-pointers, and even in game action, I’m not ruling out knocking down ten. Just give me a month to get in shape. Okay, maybe several months. Unless you’re a good three-point shooting team (spoiler alert: Pitt is not), that’s just a pretty lazy offensive strategy. The team’s personnel isn’t really built to have success that way and why they were given the green light so often is kind of confusing. I don’t know if it’s a lack of Xs and Os on Capel’s part or if he just doesn’t have the horses. I’m inclined to believe it’s more of the latter but how badly the offense is performing lately under his watch, short on talent or not, is kind of an eye-opener. That doesn’t mean he’s not a good coach or that he doesn’t know what he’s doing. What it does mean, though, is that he has to find creative ways for Pitt to more easily score points. Simply put, the offense has to have a better plan. That’s on the players. That’s on Capel. That’s on a coaching staff that, by the way, is comprised of guys that all have head coaching experience. That none of those fellows can gin up some ideas to improve the offense is surprising. If this was a one off, perhaps you’d say it was just an off shooting night. After all, Jared Wilson-Frame was 4-17 (with 15 of those shots from beyond the arc). Xavier Johnson had one of his worst games ever, shooting 3-19. 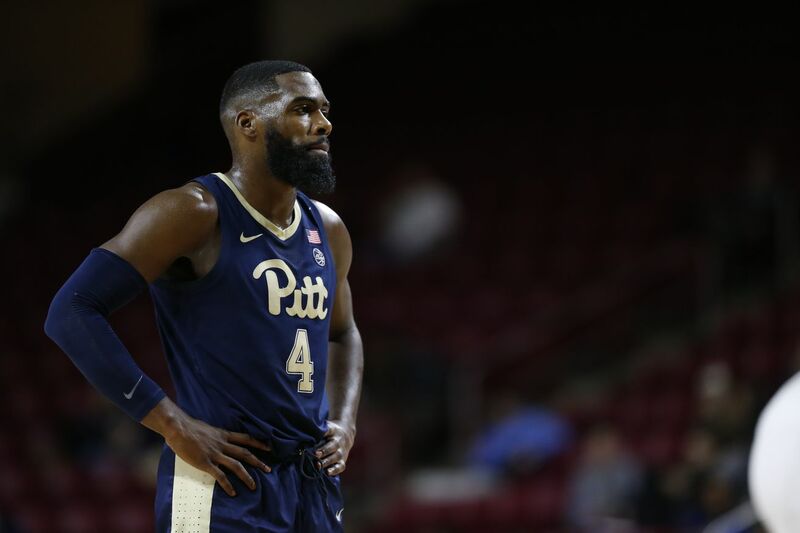 Sidy N’Dir had as close to a ‘good’ game that Pitt had and even he was only 4-11 from the field, with nine points and seven boards. But we’ve seen this movie too many times. If guys can’t shoot, it’s up to the coaches to put them in position to get easier shots and get to the foul line. Plain and simple. Easier said than done but that’s what they’re getting paid for. I don’t know where the team goes from here, really. The good news is that it almost certainly does not matter. At this point, it’s all about trying to add a win or two to pad to the total and distance themselves as much as possible from last year’s disaster. That’s it. There’s no other goal here from a team perspective than to try to steal a win or two. Problem is, two of their more winnable games left this year were against Wake Forest and Boston College and both resulted in losses. Pitt has proven they can play better, as they did against NC State in their last game. But man, what a dog of a performance. Questioning effort at this point in the year may seem unfair for such a young team but we’re at the point where those folks with that theory should not be dismissed as crackpots. To take so many three-pointers in a game like this that was mostly a close one makes little sense. And if it’s not effort, if nothing else, the team didn’t play with an ounce of inspiration tonight. Again, jacking up that many shots from the outside just shows an inability to be productive on offense and is a really lazy way to approach things at that end of the court. Yes, it’s a rebuilding season. And yes, we knew wins would be difficult to come by — particularly on the road. But that doesn’t make stomaching games such as this any easier. Be sure to join Cardiac Hill’s Facebook page and follow us on Twitter @PittPantherBlog for our regular updates on Pitt athletics. Follow the author and founder/editor @AnsonWhaley. This article was originally published at http://cardiachill.com (an SB Nation blog). If you are interested in sharing your website's content with SCACCHoops.com, Contact Us.